Wow, those scones look too good to have only three ingredients, one of them being a soft drink! Cheers! I cannot emphasise how easy these are. They’re also really good when you have guests stay over and you wake up and want to make breakfast, but can’t really be bothered. zomg only 3 ingredients??? thats brilliant i love recipes that arent too complicated and dont need heaps of stuff! These look wonderful!!! And so simple to prepare!! Not my favourite recipe but this post just made me think of something funny that happened this week. We used to make Pelmeni (which are most easily described as Russian dumplings. It was a whole day team process. I discovered them for sale in the frozen food aisle of an IGA this week. I’ve never heard of putting lemonade in scones but I want to try it now, it makes sense!! Ginger beer & date sounds amazing too. What about Fanta orange & cranberries?!! You pretty much can’t go wrong with any soft drink flavour. 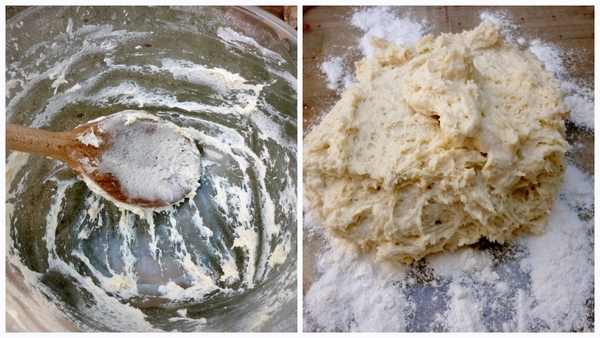 It gets so diluted by the flour that mistakes are pretty much impossible. That’s the great thing about it. This is the most interesting recipe I’ve seen in a while. I can’t wait to try it! Thanks for sharing the memories and the recipe. My grandpa makes lemonade scones as well!! He’s 93, and he’s always baked and cooked little simple things for us to eat when we visit (chocolate mousse and lamingtons are among them… he fervently believes in at least a 2 course dinner). When I moved out of home he gave me his lemonade scone recipe… I’ll have to track it down!! Thanks for this recipe. We are a class of students learning English. There are 20 of us. We’re cooking for the whole English Centre tomorrow. Will let you know how we go.